Classic Viennas, Smokey Frankfurters and The Cheese Grillers. Make the perfect hot dog with Garfunkels delicious hot dog range! • Viennas are the ultimate kids’ all-time favourite hot dogs! • Frankfurters are enjoyed by food lovers as they are smoked for that extra flavour. • Cheese Grillers are for the hot dog connoisseur; melting cheese oozes out once grilled! Garfunkels hot dogs are pre-cooked, so only need to be heated by grilling, steaming or gentle, brief boiling. Add flair to your hot dogs by frying some thinly sliced onion rings until lightly brown. Butter your hot dog rolls and add your fried onions. Add your favourite Garfunkels hot dog on top of the onions and top with lots of tomato sauce and plenty of tangy mustard. Get everyone making their own hot dogs! 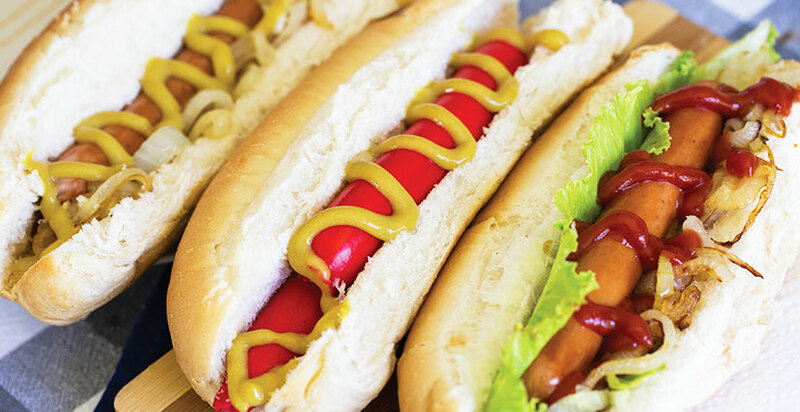 SIDES that go well with hot dogs also include coleslaw, beetroot, guacamole, lettuce, cheese or pickles. Have fun experimenting! Pile them up and eat, delicious!